Customer Service eLearning & Onsite Training Customized Engaging Customer Service Training Getting to know your customers….Casino Style! 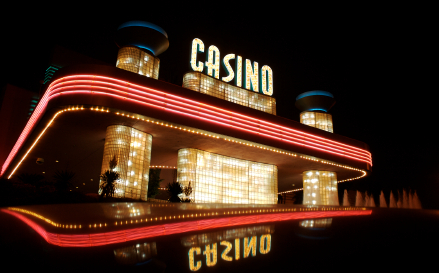 Getting to know your customers….Casino Style! We know how frequently they [customers] come, what they play, and we follow up with continuous communication over the phone, direct mail and e-mail and on our Web site. It allows us to be participatory rather than reactive. The more you know about your customers, the better you can serve and sell to them. Customer Relationship Management (CRM) helps companies understand and influence customer behavior and positions them to proactively anticipate customer needs and exceed their expectations, rather than passively responding to customer needs. Suppose we sign up a new customer in Atlantic City. He lives hundreds of miles from the casino and plays $50 in a nickel slot machine over two hours. We know that person is a casual gambler who just happens to be in Atlantic City. However, if he lives in (nearby) Philadelphia and plays $500 on a sophisticated slot machine, our predictive model says he is a lucrative customer, who probably wandered in from the competition. Within a week, we have a thank-you to his home and an offer customized by our technology and expertise to bring him back. We have them fill out enrollment forms by offering them rewards. Then we give them a card that tracks their play. We require basic information such as phone numbers and e-mail addresses. If they want, they can give us more information, such as if they like Italian food. The more you know about your customers, the better positioned you are to create superior value and build loyal relationships with them. A CRM solution may be just what you’re looking for to help you learn more about your customers in order to sell more to your customers. Next Next post: Customer Service: We do it your way…but don’t get too crazy!